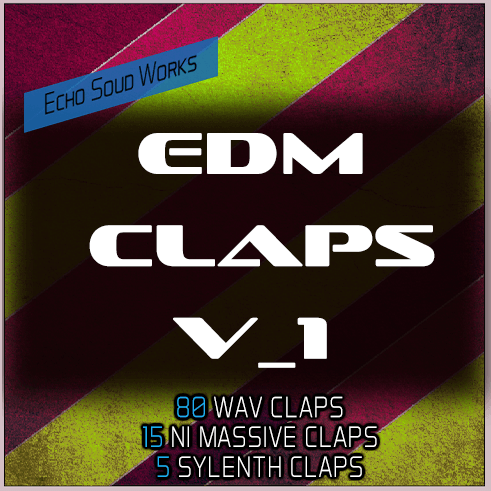 EDM Claps by Echo Sound Works is a collection of nothing but the highest quality clap samples for EDM. It comes with 80 24 bit WAV samples that have been layered and EQ’d to perfection. We also made 15 claps in NI Massive as well as 5 clap sounds in Sylenth. To cap it all off, we made a Kontakt instrument that has every WAV clap included in this pack laid out on white keys which makes layering and auditioning sounds quick and easy if you’re a Kontakt user.